The Forest for the Trees – Does Your Operation Need a Review? Warehousing is tough. Manufacturing is tough. 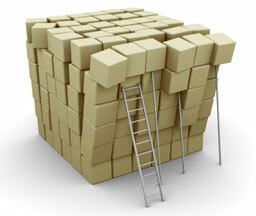 Order fulfillment is tougher; the longer the operation runs the more difficult it can get. You deal with constant disruptions , and the system you carefully designed a few years ago may not be working as well today, after changes in your business climate, personnel changes, SKU alterations, new lines, changing storage requirements, corporate policy changes, or issues with key suppliers or customers. These things happen, and at some point, all or most of them will occur in every operation. If a series of small changes have added up to big headaches, what can you do? In dynamic distribution environments, accurate, fast weighing, counting, and dimensioning systems are more important than ever. This is particularly true in 3PL’s and other operations where needs often change. Getting it right, and getting it quickly has become increasingly more important. 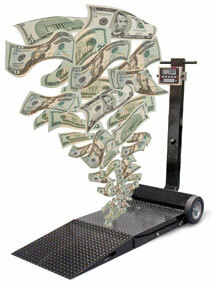 One way is to utilize the newer mobile weighing systems on the market today. Pallet racks take a beating over time. They get loaded with exceptionally heavy pallets, by exceptionally powerful lift trucks over and over throughout the course of years. 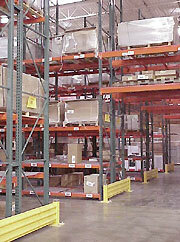 Chances are that if you have pallet rack in your warehouse, it’ll get hit at some point. When it does, inspecting (and generally replacing) it is your best course of action. But what about avoiding that hit, or its dangerous aftermaths in the first place? Rack is easy to ignore from a safety standpoint. In fact, it’s too easy. Other hazards might stick out like a sore thumb, so there are times plant managers or warehouse supervisors can be less concerned than they should for hundreds of tons of racks and load in a warehouse bustling workers and lift trucks.